Scientists have accidentally discovered a mutant enzyme that can fully eat up and decompose common plastic, and could help the world solve the problem of plastic waste. 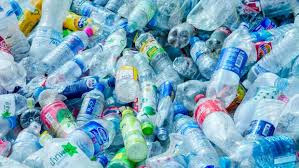 Researchers in the US and UK examined an existing enzyme which had occurred naturally in landfill sites and was able to slowly digest man-made plastics. But in the course of testing the enzyme's origins, the researchers made biological changes to it that turbo-charged its ability to digest plastics, according to Britain's University of Portsmouth. According to The Guardian, the enzyme starts breaking down plastic in a matter of days, a process which would take centuries under normal conditions. The enzyme is called PETase, because it eats polyethylene terephthalate (PET), the lightweight plastic used in bottled water and soft drinks. "Serendipity often plays a significant role in fundamental scientific research and our discovery here is no exception. The mutant enzyme is still in its early stages, and the scientists are now working on developing it for use on an industrial scale. Right now, plastic bottles that are recycled can only be turned into opaque fibres, which can then be used to make clothes or carpets. A more effective method would enable recycled plastic to be put to a far wider variety of uses. About 8.3 billion tonnes (9.1 billion tons/8,300 billion kg) of plastic has been produced since production began about 70 years ago. Around 6.3 billion tonnes (6.9 billion tons/6,300 billion kg) is waste, the BBC reported.